Sorry, I just don't fit in. Don't get me wrong. I long for community. I desire long prayer times, where we can just pray and let the presence of the Lord lead our prayers and fill our hearts as we walk out renewed and refreshed. I want His Word on the forefront of my mind, day-in and day-out. I want worship where I am not being led by a human but by the power of the Holy Spirit. I want deep discussions about some of the more obscure things of the Bible. The things that don't make sense. I want to watch and see whom God chooses to make a special revelation to about such topics, without the fear of disagreement, but with the openness of a curious heart. I want true Bible studies where I learn more about Scriptures and their context with both Greek and Hebrew word studies than a person giving me a motivational speech on how to make it through the week with fresh ideas on how to "remember God" on Tuesday morning at work. You see, I grew up in a home with chaos, depression and witchcraft. I survived three loved one's suicides and walked through my own dark times of despair. I missed out on having a dad due to divorce and went to 16 different schools on two continents before the 12th grade. I have lived all over the US, grew up first generation European, and to those of you who understand the depths of that statement, will know that it means having a very different outlook on many subjects like life, suffering and politics. I speak two languages and am working on Hebrew. None of this felt like a crown of glory . . . more like a crown of thorns. I was shunned and embarrassed because kids made fun of the fact that my mom and grandmother had a thick accent when they answered the phone. I always got comments like, “I can't understand your grandma" or "your mom talks funny." Not many people wanted to come to my house for play dates or sleep-overs because my family was foreign, though legalized and went through the whole nationalization process to become American citizens. I even helped my grandmother study for her test on American history with the same materials I was learning in the 8th grade. I was bullied for being short and shoved in lockers in middle school, because, hey, I fit and other kids thought it was funny. Bullying wasn't such a big deal then so I never got that much attention for it. I just dealt with it alone. I went to a Christian College. It was my choice. No one in my family made me do it. I wanted God. I got accepted to UMass but decided to go to a small Christian College in Boston. My family couldn't afford more than one semester, so I transferred to another Christian school in FL. I was broken, hurt and not really interested in many of the things that other kids were into. But in the end, wound up with the party crowd because they were the only ones that didn't look down on my hurt. After partying for three years in college, I was done. I got so hurt and torn up by the cruelty of this harsh world and the terrible filth of dating jerks; I had nowhere else to turn to but God Himself. I wanted Him and He got a hold of my heart at a friend's wedding one day. I was a bridesmaid and blubbering my eyes out in front of everyone, not because of her getting married, but because God was speaking to the depths of my soul with such clarity and tangibility. He was speaking directly into the places inside that hurt the most, that I began to cave under the tender, yet stern warning to walk away from the lifestyle I was living and press into Him. But I still wanted friends after having such a powerful experience with God, so naturally I went to church. Though that church offered amazing sermons, ones filled with depth and truth, I didn't find any friends there. I was twenty-one, lonely and about to graduate college. I had no family in the area and needed my next step shown to me from my God. But things started to change. It seemed as though once all I wanted was God, God wound up bring me all I wanted. God began to soften people's hearts toward me and He brought me friends. Something I had never had before. It was an amazing three months of my life. But I knew it was all God. I knew I had nothing before Him and nothing without Him. I knew He had the power to harden hearts the same way He had the power to soften them. And He remembered me, in all of His compassion and mercy, and He brought me what I wanted most at the time. He brought me friends. So I went. I guess knowing it wasn't for many of the same reasons that other students were there kept me from fitting in again. I had no clear vision or purpose. I was literally just following the next step. I felt dumb and unambitious for not having a clear goal or direction, but I kept on, blindly following what I knew to be true. I did a J-term at New York Theological Seminary and took a world religions class there. We were invited to attend a Jewish Synagogue one Friday evening, so I went. I was impressed at so many aspects of their culture. I left there thinking, "If there were Jews that believed in Jesus that's where I would fit in most." But alas, I knew nothing like that existed, so I went back to school and church as always. Back in seminary, I was immersed in chapels, theological classes and had to participate in some community thingy that was supposed to bring about a sense of community. But it didn't. I was alone - broken and a mess. Went through two bad relationships, an engagement that ended with infidelity and finally a suicide and the church I was attending at the time was not cutting it. It wasn't meeting my needs. But I knew God. It may not have looked like it at times by the decisions I was making, but I knew Him. I wanted Him and I knew what He wanted from me. Right before my ex-fiancé's suicide I had quit going to church. I started meeting with about three girls on Saturday evening that would do a Bible study or book study and go through the latest Christian book. I liked it. I had more fellowship there than the church service. Things started getting dark. Something was missing. And it wasn't as cozy as it once was. My husband and I both felt it. We realized we had just uprooted our entire family, moved all the way across the country where we didn't know a soul. No family or friend to start out with and BAM! It hit us . . . We are homeless, 2,000 miles away from anyone we know. We had no idea what we were getting ourselves into. There were scary moments, but we knew the prayer that we had prayed. We gave God the house we bought and said, "You bring who you want here." He did. It was then that we began to see how the dragon goes to war with the remnant of the seed in Revelation 12. God began to show us the realities of spiritual warfare. It would have been too easy to get caught up warring with flesh and blood, but that's not who we are are war with. And it was then that He became known as our Commanding Officer. These were scary times, but never once did I feel or have doubts about being out of the will of God. There were a few times that I questioned our sanity. But I knew we had been led out there and that all of those people belonged there for a time and for a purpose. But nothing in the prominent Christian worldviews, cultures and churches could have prepared us for the very Biblical concept of the wilderness experience. It's was in the wilderness when Mt. Sinai happened, when Korah's rebellion happened. It was in the wilderness where Nadab and Abihu died. Mannah happened. Quail happened. Miriam and Aaron's rebellion happened. The golden calf transpired. It was in the wilderness where the tabernacle was built, people were assigned to tribes and where the army of God was formed. 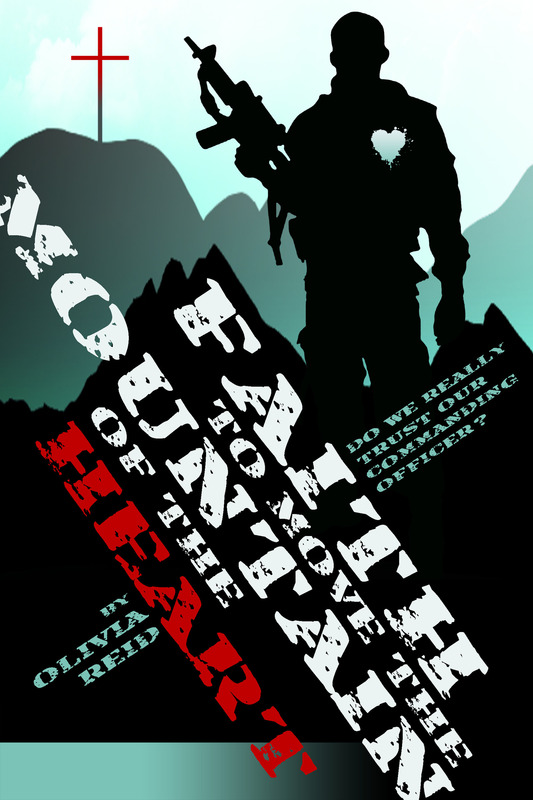 "Faith to Move the Mountain of the Heart" is a primer and foundation on the fundamentals of wilderness and warfare, the forgotten power of camaraderie, and the vital presence of humility. Without these, knowing the Heart of the Father--all of which the army of God needs in order to win against the enemy, is impossible.